But will it make you buy the clothes? Who cares! If you haven’t seen the comedy genius that is the short film fashion giant H&M made last year starring David Beckham to promote its Modern Essentials collection, you haven’t lived. In a nutshell, pint-sized American actor and funny-man Kevin Hart (who as a piece of side trivia, has almost 42 million Instagram followers) plays himself getting ready to play Beckham in a musical stage production. For method acting purposes, Hart shadows the horrified footballer-turned-H&M model at home and work for a week. Since it was posted on YouTube last September, the nearly seven-minute film’s had 5.7 million views, with many more millions via edited clips grabbed from H&M’s original, plus spoofs to boot. Even a blooper reel from the film released just months ago has clocked nearly a million sets of eyes. 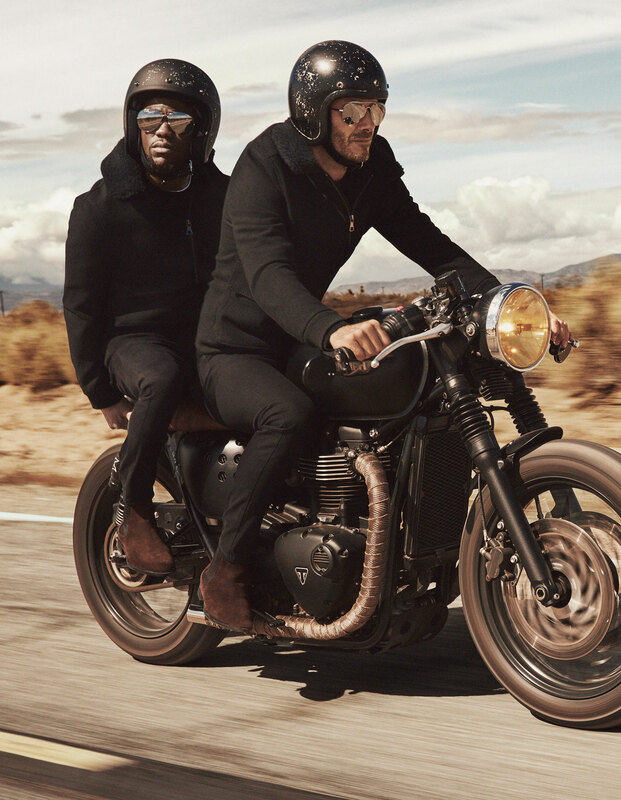 Clearly, folks in the H&M marketing department know when they’re onto a good thing – today the brand released its latest Modern Essentials menswear campaign featuring the typical James Dean-inspired shots we’re used to from Beckham. But it’s Hart’s random inclusion in two of the pics that had us scratching our heads. Photo bomb? Actually, it’s the prelude to Part 2 of the short film series, where the pair is shown on the road-tripping Thelma & Louise style in Hart’s musical tour bus to Vegas. Does it all make you want to buy yourself (or the man in your life) some H&M clothes? That’ll remain to be seen, but for now we’re just happy to pour over some photos and watch that masterpiece up top again.